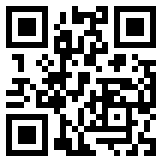 Serving St. Louis Missouri and the surrounding area. We can offer the same or better level of service for a lower price. For Example, general pest control on a single family home in St. Louis Missouri only $75.00. or a Termite Bait and monitoring system in Florissant Missouri as low as $415.00. All services come with a guarantee. General pest control is guaranteed for 60 days. If you have a problem we'll come back at no charge. Then follow up with our optional Quarterly Protection Plan starting at just $50.00 per quarter. We never require a contract for any of our services. Use us only when you want or use our quarterly service plan. Whether you live in St. Louis, St. Charles, Chesterfield, Florissant, South County, or Illinois, Advantage Pest Control can handle your pest control needs. 1/01/2019 - Happy New Year from Advantage Pest Control Solutions! Cold nights in December and January can cause Mice and Rodents to seek shelter indoors. See how Advantage can help you eliminate Rodents in your home or business! 12/01/2018 - Bed Bugs are being reported more as people are traveling more for the holidays. Bed Bugs can be picked up in luggage and belongings at hotels if they are infested. 8/30/2018 - Yellowjackets and Bald Faced Hornets are more active in the late summer months and into fall. Yellowjackets most often nest in the ground but some species may nest in structures. Hornets build their round nests hanging from a tree branch or hanging from structures. Nests can enlarge quickly in August and September. Small nests that may have gone unoticed may become noticable. The larger nests contain more insects so stings are more likely. European Paper Wasp Nests are also larger and are sometimes mistaken for yellowjackets. Call us for Yellowjacket and Hornet removal! 7/11/2018 - Brown Recluse will often infest attics and crawlspaces. Very hot dry conditions can cause an increase in brown recluse activity. Unlike most spiders found in the home that come in around windows and doors, these spiders are usually moved from house to house by people. They can be very difficult to get rid of, a very thorough treatment is needed to completly exterminate them. Call us for a free estimate today! 5/25/2018 - Spring is the time for Carpenter Bees. These large bees can be a nuisance and their boring can cause damage to your home. Carpenter Bees will often infest the same areas of your home year after year. In addition to the damage caused by the bees, woodpeckers will often damage the wood while foraging for Carpenter Bee Larvae. 4/30/2018 - Every year, it is an estimated that Subterranean Termites cause $5 billion worth of damage to structures in the US. 6/26/2017 - Bald Faced Hornets and Yellowjackets are more active in the late summer months and into fall. These insects have been enlarging their nests and are more noticeable. The larger nests contain more insects so stings are more likely. Call us for Hornet and Yellowjacket removal! 6/01/2017 - Spring is the time for Carpenter Bees. These large bees can be a nuisance and their boring can cause damage to your home. Carpenter Bees will often infest the same areas of your home year after year. In addition to the damage caused by the bees, woodpeckers will often damage the wood while foraging for Carpenter Bee Larvae. 3/20/2017 - This spring's mild temperatures mean termites are swarming. Subterranean termites can start swarming as early as February or as late as June depending on weather patterns. Subterranean termite swarms may occur in different neighborhoods at different times. The swarming insects cause no damage but are an indication of termite activity nearby and may actively swarm for several weeks. 2/22/2017 - Mild February temperatures allow subterranean termite activity to increase. Termites are less active during colder periods but will still feed in heated structures. In warmer conditions, termites can be found foraging in the soil. 2/15/2017 - Recent mild temperatures cause insect activity to increase. Spring is right around the corner, and treating for pests now along with a Regular Maintenance Program provides the best result and the best value! This program has the lowest price and the best warranty! 1/01/2017 - Happy New Year from Advantage Pest Control Solutions! Cold nights in December and January can cause Mice to seek shelter indoors. 12/30/2015 - Mild temperatures continue, leading to increased pest activity. Colder nights may cause Mice to seek shelter indoors. Spider activity may be observed and temperatures have been mild enough for them to remain active outdoors. Subterranean termites are more active on milder days and can even be found foraging near the surface. 11/30/2015 - This fall's mild temperatures mean increased pest activity. Spiders are prevalent and temperatures have been mild enough for them to remain active outdoors. Subterranean termites remain active in the colder months in heated structures, however this season's mild temperatures provide opportunity for increased termite activity and foraging in the ground and un-heated structures. 5/28/2015 - This spring's cooler temperatures and swings means a late termite swarm. Subterranean termites can start swarming as early as February or as late as June depending on weather patterns. Subterranean termite swarms may occur in different neighborhoods at different times. The swarming insects cause no damage but are an indication of termite activity nearby and may actively swarm for several weeks. 5/01/2015 - Spring is here. Warmer temperatures bring increased insect activity. Carpenter Bees are active. Subterranean Termites readily feed and are constantly looking for new food sources. Ants and Spiders are very active. Now is a great time start General Pest Control for as little as $75.00 and maintain your service with our optional Quarterly Protection Plan. 3/17/2015 - Spring is right around the corner. Now is a great time start general pest control for as little as $75.00. Even though there are still some colder periods, ants, spiders, and other crawling insects become active on warmer days. Treating early can get these insects under control before their numbers start to increase. Subterranean termites will swarm soon. Look for winged insects resembling flying ants. 1/23/2015 - Recent mild temperatures cause insect activity to increase. Spring is right around the corner, and treating for pests now along with a Regular Maintenance Program provides the best result and the best value! This program has the lowest price and the best warranty! 12/15/2014 - Winter's cold temperatures cause mice and rats to seek shelter indoors. Rodent Control Services minimize rodent problems year round. This program has the lowest price and the best warranty! 8/17/2014 - Get the best value with our Quarterly Pest Control and minimize pest problems year round. This program has the lowest price and the best warranty! 8/17/2014 - Bed Bugs are being reported more as people are traveling more in the warmer months. Bed Bugs can be picked up in luggage and belongings at hotels if they are infested. 8/17/2014 - Bald Faced Hornets and Yellowjackets are more active in the late summer months and into fall. These insects have been enlarging their nests and are more noticeable. The larger nests contain more insects so stings are more likely. Call us for Hornet and Yellowjacket removal! 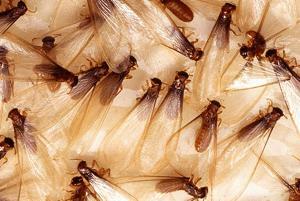 8/01/2014 - Many homeowners only think about Termites in the spring when swarmers are emerging from termite colonies. Termites workers are active year round and not every termite colony will have a swarm. Call today for a free termite inspection! 5/22/2014 - Spring is here. Warmer temperatures bring increased insect activity. Carpenter Bees are active. Subterranean termites readily feed and are constantly looking for new food sources. Ants and Spiders are very active. Now is a great time start general pest control for as little as $75.00. 3/17/2014 - Spring is right around the corner. Now is a great time start general pest control for as little as $75.00. Even though there are still some colder periods, ants, spiders, and other crawling insects become active on warmer days. Treating early can get these insects under control before their numbers start to increase. Subterranean termites will swarm soon. Look for winged insects resembling flying ants. 11/05/2013 - As cooler temperatures move in, mice and rats begin to look for warmth and shelter inside homes and structures. Now is a good time to prevent rodent problems this winter with a rodent control service. 10/05/2013 - As cooler temperatures move in, pests begin to look for warmth and shelter inside homes and structures. Spiders are commonly finding their way indoors, and mice and rat activity increases. 9/05/2013 - Bald Faced Hornets and Yellowjackets are more active in the late summer months. These insects have been increasing in numbers all summer and are more noticeable. The larger nests contain more insects so stings are more likely. Call us for Hornet and Yellowjacket removal! 8/09/2013 - Many homeowners only think about Termites in the spring when swarmers are emerging from termite colonies. Termites workers are active year round and not every termite colony will have a swarm. Call today for a free termite inspection! 3/28/2013 - Termite swarmers normally emerge on a warm spring day after a rain however a large amount of snow melt may provide enough moisture to trigger the event. Winged insects similar to flying ants emerge from, or near wood that the termite colony is feeding on. There may be tens to hundreds of insects. Call today for a free termite inspection! 3/07/2013 - Termite swarming season has begun. Termite swarmers have been confirmed in the area by our technicians. Look for winged insects resembling flying ants. Swarmers typically emerge from, or near wood that the termite colony is feeding on. There may be tens to hundreds of insects. The swarm typically emerges on a warm day, after a period of rain and are sometimes the only indication of a termite infestation. Not all termite colonies will swarm, so call today for a free termite inspection! 1/31/2013 - It may feel like winter but insect activity can start increasing as early as February. Ants begin rebuilding their colonies, and termites may swarm on unseasonably warm days. Termite activity may be detected in the soil. Treating your home preventatively now will help prevent pest problems in the coming months. This is also a good time to inspect for signs of termite activity. You can schedule a free termite inspection for a home you own, if you do not have a current termite agreement. 12/03/2012 - Times of the year when people travel tend to have increased cases of Bed Bugs. Bed Bugs are reported more as people are traveling more during the holidays. Bed Bugs can be picked up in luggage and belongings at hotels if they are infested. 8/31/2012 - Fleas activity is increasing. Fleas are normally more active towards the end of summer and into fall. 8/01/2012 - Spiders are prevalent. This summer's hot dry weather has caused increased Spider activity. 6/15/2012 - Bed Bugs are being reported more as people are traveling more in the warmer months. Bed Bugs can be picked up in luggage and belongings at hotels if they are infested. 4/15/2012 - Fleas are being reported earlier than normal Fleas are likely to be more active because of a mild winter. Fleas are normally more active towards the end of summer. 3/05/2012 - Subterranean termites have started swarming. Termite swarmers have been confirmed. Look for winged insects resembling flying ants. Swarmers typically emerge from, or near wood that the termite colony is feeding on. There may be tens to hundreds of insects. The swarm typically emerges on a warm day, after a period of rain and are sometimes the only indication of a termite infestation. Not all termite colonies will swarm, so call today for a free termite inspection! 3/01/2012 - With this winter's mild temperatures, expect insect activity to begin early and be heavier than normal. Treating pest problems early and regularly can minimize pest problems.